Margarethe "Grethe" Cammermeyer was born today, March 24, in 1942. She served as a colonel in the Washington National Guard and became a gay rights activist. Born in Oslo, Norway, she became a United States citizen in 1960. In 1961 she joined the Army Nurse Corps as a student. She received a B.S. in Nursing in 1963 from the University of Maryland. At the University of Washington School of Nursing, she earned a master's degree in 1976 and a Ph.D. in 1991. In 1989, responding to a question during a routine security clearance interview, she disclosed that she is a lesbian. The National Guard began military discharge proceedings against her. On June 11, 1992, she was honorably discharged. Cammermeyer filed a lawsuit against the decision in civil court. In June 1994, Judge Thomas Zilly of the United States District Court for the Western District of Washington ruled that her discharge and the ban on gays and lesbians serving in the military were unconstitutional. She returned to the National Guard and served as one of the few openly gay or lesbian people in the U.S. military while the "don't ask don't tell" policy was in effect, until her retirement in 1997. She wrote a a book about her experience in 1994, called Serving in Silence. 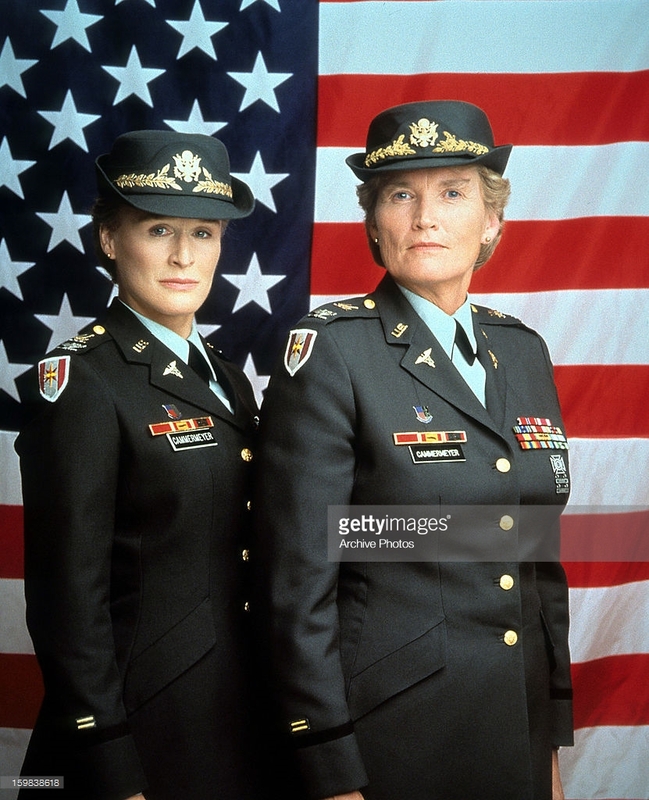 It was made into a television movie with the same name, made in 1995, with Glenn Close starring as Cammermeyer.